Beverly - Pamela J. 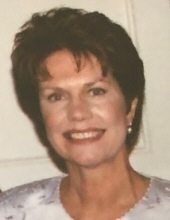 (Breeden) Holleran Wright 72, formerly of Wakefield, beloved wife of Robert J. Wright, died Wednesday, August 29, 2018 at the Kaplan Family Hospice House in Danvers surrounded by her family. Born in Melrose, she was the daughter of the late William and Evelyn (Harris) Breeden. She was raised in Wakefield and graduated from Wakefield High School, class of 1963. She continued her education and earned an Associate’s degree from Fisher Junior College. Mrs. Wright had been employed for many years as a secretary at State Street Bank in Boston and had also served as a secretary at the Dane Street Church in Beverly. A longtime resident of Mt. Laurel, NJ before moving to Beverly in 1993, Mrs. Wright was an active member of the North Shore Community Baptist Church in Beverly Farms where she had also served as the coordinator of the Church nursery. She was a loving wife, mother, grandmother, sister and friend who will be missed by all who knew her. In addition to her husband, with whom she shared sixteen years of marriage, she is survived by two daughters, Amy Gibbs and her husband, Francis of Gloucester and Beth Ryan and her husband, Jeff of Beverly, three step-sons, Robert Wright Jr., Christopher Wright and Shawn Wright, six grandchildren, Christopher “CJ” Gibbs, Jillian Gibbs, Michael Gibbs, Jack Ryan, William Ryan and Jack Wright, three sisters, Joan Berg and her husband, Leland of Medway, Martha Lake-Greenfield of Nantucket and Carolyn Newby of Washington D.C. and several nieces and nephews. ARRANGEMENTS: A memorial service will be held at the North Shore Community Baptist Church, 9 Hart Street, Beverly Farms, Saturday, September 1, 2018 at 12 noon. Relatives and friends are invited to attend. In lieu of flowers, contributions may be made in her memory to the North Shore Community Baptist Church, 9 Hart St., Beverly, MA 01915 or St. Jude Children’s Hospital, 501 St. Jude Place, Memphis, TN 38105. Information, directions, condolences at www.campbellfuneral.com. To send flowers or a remembrance gift to the family of Pamela Breeden Holleran Wright, please visit our Tribute Store. "Email Address" would like to share the life celebration of Pamela Breeden Holleran Wright. Click on the "link" to go to share a favorite memory or leave a condolence message for the family.